Hocus Focus Productions is a video production and photography company located in The Asheville area of North Carolina. See some of ourmonster movies, comedies and sci-fi series in our Free Cinema. Or search for "Jason Liquori" to find our movies for Free on Midnight Pulp, also streaming on your Roku device. We produce independent movies(features and shorts) and web series. Most with a sci-fi, horror or bloody theme. Check our "About Us" section for our films and shows or follow one of the links above. We make your videos better. Whether it's from helping with pre-production design, casting, shooting, editing or getting your content ready for the web, we can help. Digital photography has made it possible for almost everyone to take better photos, but the right touch-ups can make a good picture great. No job is too small. Call us and see if we can help. 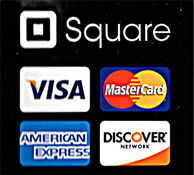 We now accept these major credit cards for in person services. Ask about how we can help you with your movie. NOTE: We do NOT fund outside projects. Read our "What we do". If you want to work with a company with a proven track record of finishing feature length HD productions and bringing them to market independently, then contact us.